Guerrilla Games is expanding, and with expansion comes the need for a larger office space. In early 2019, Guerrilla Games will move into a new five-floor office located in the former Telegraaf building on the Nieuwezijds Voorburgwal in Amsterdam. The building is currently under renovation, and the five floors Guerrilla will lease are 7,300 square meters (78,576.55 square feet) of total space. Hulst went on to say the new office will turned “into a palace,” filed with statues of Guerrilla game characters, and a communal space will take up the topmost floor (thanks, Push Square). Five floors will definitely provide plenty of room for the current 250 current staffers – and the 400 employees the studio is looking to hire. 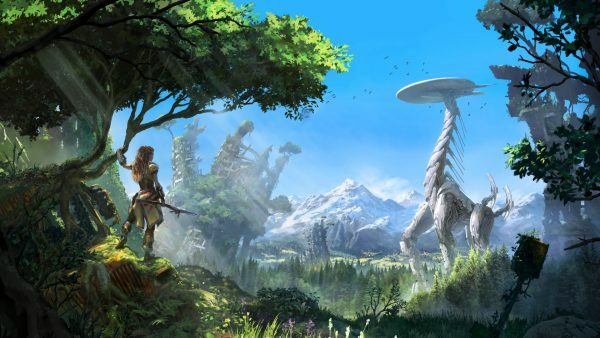 “After Horizon Zero Dawn, we are accelerating, the best talents are coming to us, and last month we have already hired nine new people,” said Hulst.